Just a little sewing project to share today. These bags are made from the Lil cutie pouch tutorial by Anna Graham at Noodlehead. 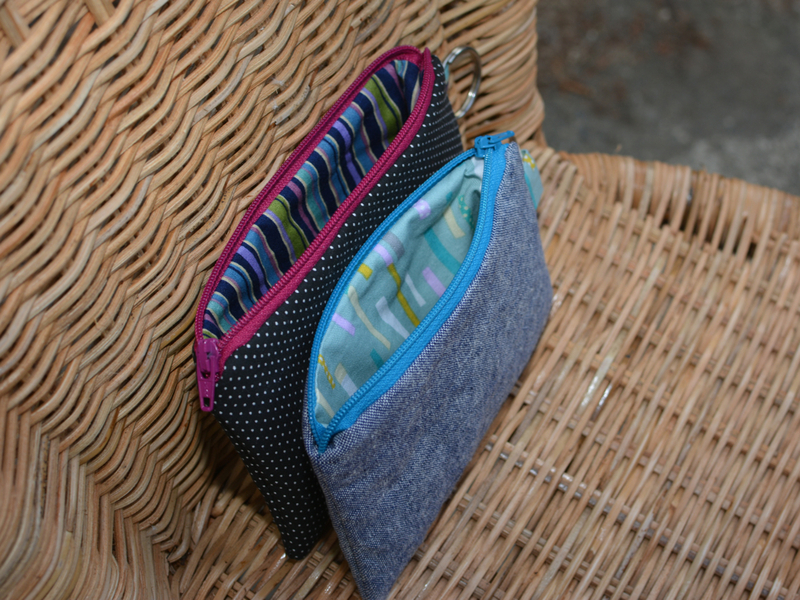 These are the third and fourth pouches I’ve made this spring. They are really fast. 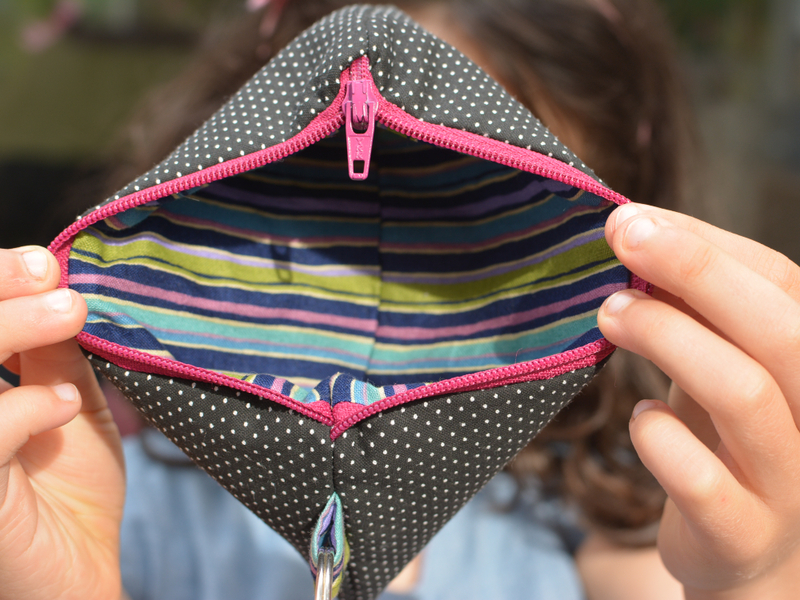 The pouch is intended to hold a phone, money, makeup or other little things, with a key ring on the outside. The original tutorial is from 2009 and phones have gotten bigger since then. In order to fit a regular iPhone 6 inside, I enlarged the pieces of the black and white pouch a bit. I also cut the lining of both pouches to be 1/4″ shorter than the exterior pieces because the linings bunched up at the bottom of the first two I made. The black and white one is for my sister’s birthday, matching a bag I made for her a while back. The other one will go to E’s preschool teacher. I might make another pouch for myself or I might just dive in to a project in Anna’s new book. Also, I thought it would be more fun to take pictures with the kids helping. Ha! This entry was posted in Uncategorized and tagged gifts, Noodle-head by Elizabeth. Bookmark the permalink. So cute!! What a sweet gift! Yeah, I’m totally intrigued by Anna’s new book too! Too many amazing projects, seriously, not enough time!!!! Agreed! I have so many wonderful ideas but am realizing that I can only get a few projects done in a month. It’s so hard to pick what to make next! 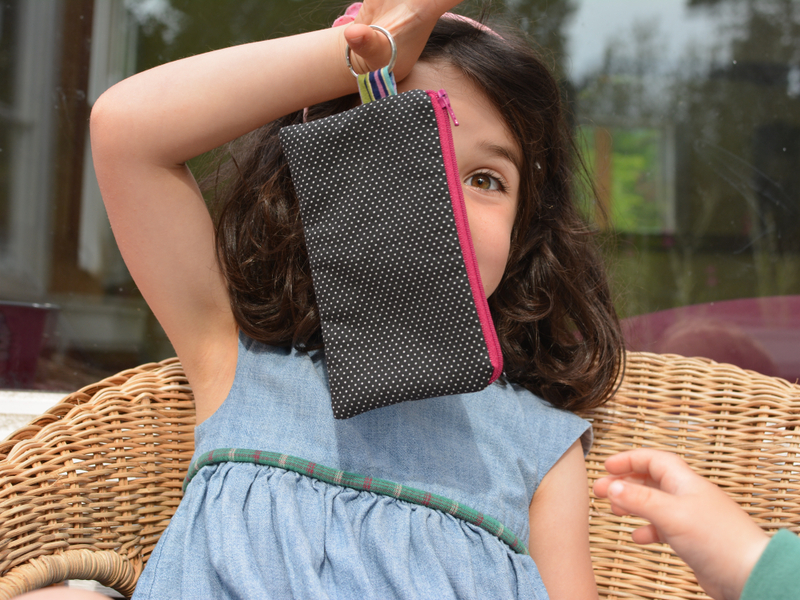 Great pouches and the cutest little pouch holding models! Love these sweet pouches! And did you make E’s dress? If so, what’s the pattern? It’s really cute! Thank you, Mary! And thanks for visiting! I did make the dress. 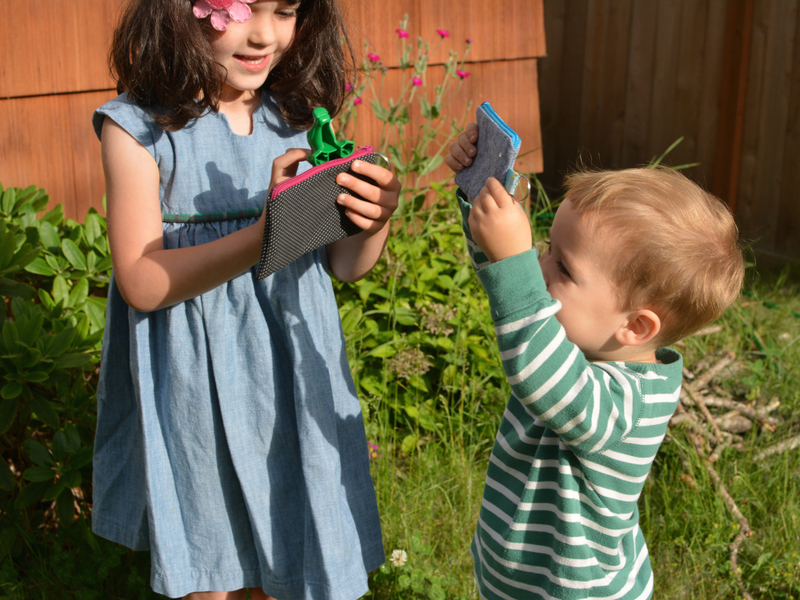 It’s a geranium dress from the Made By Rae pattern. It’s probably my all time favorite dress pattern- the fit is great and it comes with a few different options. This was actually her Christmas dress but it’s seen a lot of wear since. They are wonderful!!!! 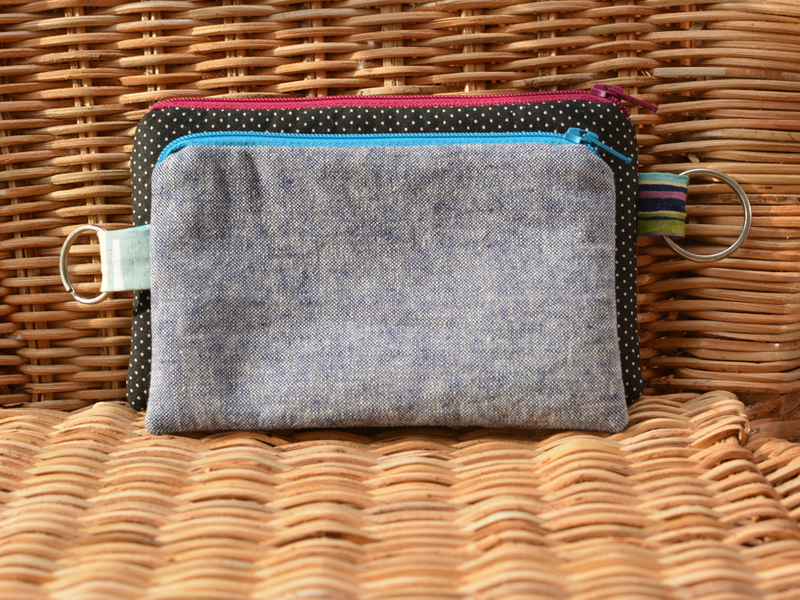 I love the idea of pouches for teacher gifts. They look great. Looking forward to seeing what you make next. Thank you, Rachel! And that dress, man has it been a good one. She wore it to preschool today and one of the buttons fell off but thankful it was found and I can sew it back on. I don’t know if I kept any scraps of the plaid fabric to cover another button so it would have been a sad loss!